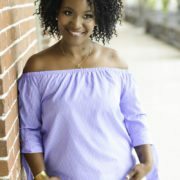 When I read other blog posts about the lessons people have learned after being married for some period of time, I’m always struck by two things: The advice being given is more often than not disappointingly similar and it’s coming from someone with fewer than two years of matrimony under their belt. Don’t get me wrong. It’s not as if I think newly married couples don’t experience their fair share of ups and downs. Of course they do. But, are all these marrieds going through the exact same things at the exact same time? Of course they aren’t. As the hubby and I prepare to celebrate 21 years of marriage in November, I started to think about all the advice I’d either heard or been given in my first few years of marriage and how glad I am that I didn’t follow a single piece of it. I believe that all marriages are unique and there’s no such thing as a “one-size-fits-all” solution to the problems that so many people highlight as being common for married couples. I try very hard never to discount the opinions of people who say marriage is hard, though. As one of my favorite books, The Secret says, “thoughts are things.” And, if you believe in something long and hard enough – whether it’s good or bad – eventually, that “something” will manifest itself in your life. Essentially, if you think married life is difficult, the odds are greater that you’ll eventually fall victim to that idea. There are many very valuable lessons about marriage that I’ve learned over time. But, first I had to stumble and fall over a few commonly-held notions – like the ones below – about how to maintain a successful relationship. Compromise is the key: This isn’t always the case. Especially if it means compromising your principles to make your partner comfortable. If they truly love you, they wouldn’t want you to do that either. There’s a reason why your partner was attracted to you in the first place. Maybe it was your drive, your zest for life, your compassion? Remember the “why”. Then hold onto it as if your marriage depends on it. Because, truthfully, it does. If I could, I would amend this piece of advice to say that “cooperation” or “negotiation” is the key. In all of our relationships, we are responsible for “teaching” people how to deal with us. If you stand for nothing, but lie down for anything, just know that you’re in affect helping your partner learn how to treat you. If that’s not the lesson you want to teach, then some course correction is in order. If you remember nothing else, take this to heart: the way you start your relationship will be the way it ultimately finishes. Never go to bed angry: Hogwash. The phrase, “If you don’t have anything good to say, don’t say anything at all,” wasn’t expressed for nothing. Sometimes, talking doesn’t solve it. In fact, when I’m angry, it may even aggravate the situation. Walking away and giving yourself time to calm down isn’t a bad thing. With a new day comes a new perspective. So, if it means going to neutral corners – or in this case – separate rooms for the night, so be it. Marriage is a partnership: There are varying degrees of partnership. There are silent partners, limited partners, and sole partners. I know, I know, this makes marriage sound like a business, right? But think about it. For any business to be successful, the roles of the workers have to be clearly defined. How else will you know that the work being performed is actually yielding results? The same can be said of a marriage. My hubby and I consult about EVERYTHING concerning our household. In that way, we do have a true partnership. But, make no mistake he is the absolute head – or in this scenario, the CEO – of the BrewCrew. He is responsible for making decisions for our family’s overall emotional, financial and spiritual stability. My role is to provide him with the input he needs to make good decisions. Let’s face it, individuals have their own opinions. If you’re performing the exact same role as your mate, I can guarantee that there will be confusion. I believe this is the reason that the bible refers to the wife as a “helpmate,” which is a role I take very seriously. Again, everything ain’t for everybody. If certain advice standards don’t work for your relationship, then stop trying to make fetch happen! At the end of the day, it’s about what’s going to make your home a happy one. And, even though it’s good to hear advice from others, you don’t have to follow it. Your path to success is exactly that … YOURS! My hubby and I avoid role confusion by having ‘departments’ If my kids are arguing about whatever is going on with 4-H animals, for instance, I say, call your dad, that’s his department. It works well. I agree with you about going to bed angry. However, I think it is fine to be angry in the same bed. Adults should have the self-restraint to agree an argument needs to take a rest without having to seperate themselves. Tammi, thanks. I’m glad you enjoyed reading this. You’re right. There are no hard and fast rules for any relationship. It’s about what works best for YOU. I find that when I’m able to step away from a disagreement, it really helps when its time to compromise and negotiate. Cooler heads really do prevail. I love this! I’m not married but I am definitely thinking about my future mate and the relationship I think we should have to make things work. I love that you addressed those three particular rules. I feel like you have to work to do what’s best for your individual marriage. I want to always include God. It’s the only sure fire way of keeping a long lasting and happy marriage. Chicki, thanks. And, you’re so right. In our home, God comes first and we’ve found that it helps us maintain focus. Glad you’re thinking about the success of your future relationship. Thoughts are things. If that’s what you want, you will have it. Good luck to you and thanks for reading! love this. especially the marriage is a compromise, not always! i’m only 4 months in, but i’m learning new things and contradictions to things ive heard my whole life. It’s crazy isn’t it? It’s like finding out the tooth fairy doesn’t exist. LOL. Congrats on your marriage! I agree with you. My husband and I both have a desire to be heads of the household. He grew up with his dad running the house, and I grew up with my mom in charge. So, we have divided up responsibilities. House and kids are my domain. Money is his domain. It seems to be working better for us. I think role definition is key to having a healthy strong relationship. Love this post! My husband is definitely the head of the household and the one who works outside of the home, but he trusts most of it to me to manage. He never checks our bank account or pays bills, and it is just one less than for him to worry about that I can help out with. Also we go to bed angry all of the time. I hate that phrase LOL. Ashley,thanks! I’m glad you liked the post. I definitely believe each couple is unique so you’ve got to do what feels right for your own relationship. I love your honesty, girlfriend. I think there are many rules just made to be broken! I just don’t think you can maintain a healthy relationship without honesty, Carol. I’m glad you enjoyed reading the post! I really enjoyed reading this post! So much of the advice I’ve gotten as a newlywed has been so traditional and stereotypical and I really appreciate you offering some real life advice, even if it breaks the rules that have been drilled into our heads time and time again. Allison, I’m so glad you enjoyed reading this post! I wasted a lot of time early on trying to force a round peg into a square hole. It doesn’t work! As soon as we decided to throw tradition out the door and do things our own way, things became so much clearer. Thanks again for reading and good luck! So very true! Marriage is a lot of work and no two marriages are the same – figure out what works for you and your spouse, don’t follow rules! That’s right, Claire! Follow your own path! Thanks for reading! Very well said! Marriage is a partnership. It’s just as much (or even more so) about the other person as it is you. If you both feel that way then it helps build a healthy, supportive marriage. Being on the same page is important and definitely helps with setting and managing expectations. Thanks! I hear so many of these and it’s nice to hear a real perspective. My parents (going on 37years) are a pretty good resource and have some of the same advice. I have to say I think the don’t go to bed angry advice is always what I’ve found most strange. Sometimes time is much more effective than words. Espescially when I’m sleep-deprived. I appreciate you sharing your knowledge. Congrats on 21 years! I agree with #2 – sometimes my hubs and I just need to cool off if we are in an argument, and can usually be more clear-headed in the morning!